This Sparkle Berry gift bag has a gorgeous embroidered red and gold design and the base fabric is ivory 100% linen feel polyester. 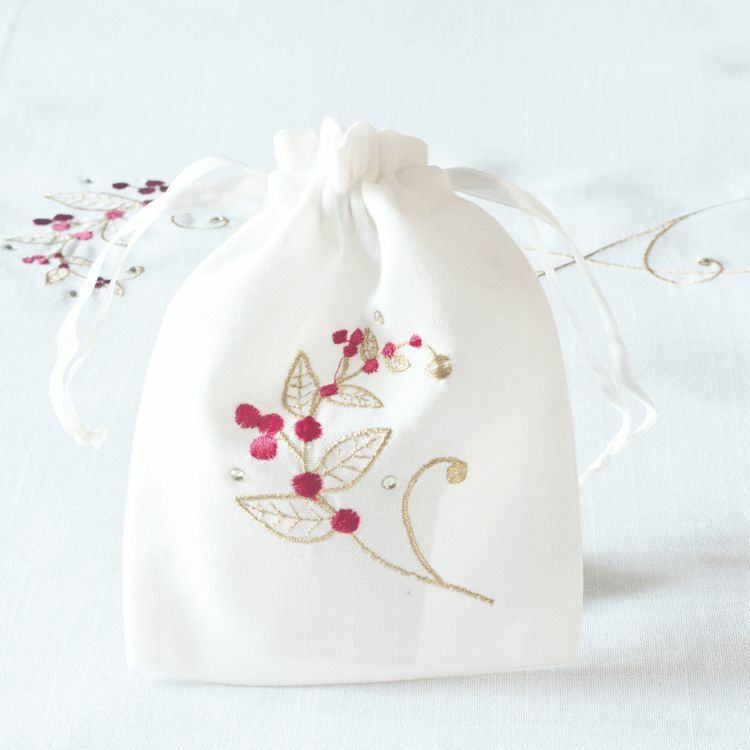 These gift bags will look lovely on your dinner table. 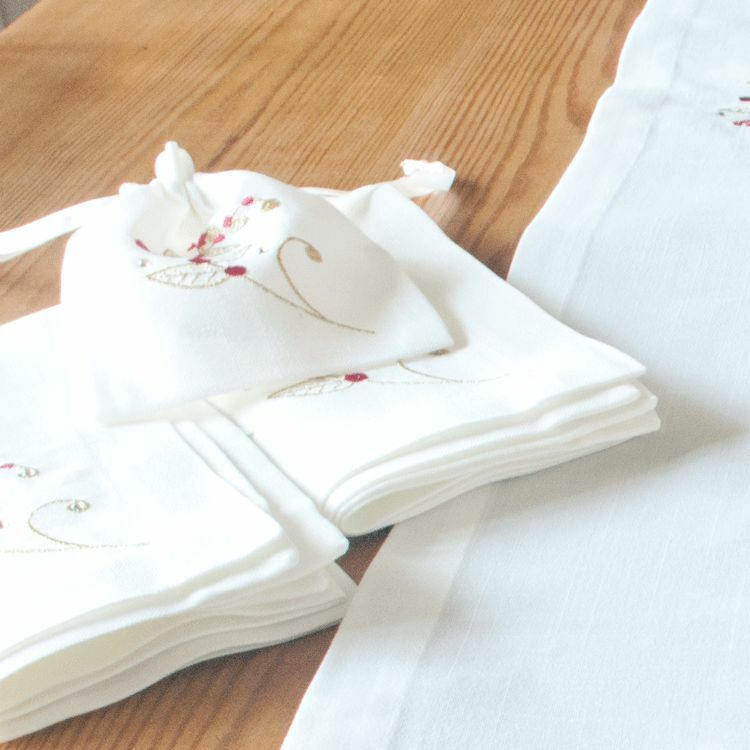 Each bag measures 13cm wide and 16cm high. They are machine washable at 30'C on a delicate cycle.